The Norwich School of painters in the early 19th Century drew inspiration from the natural beauty of eastern England. 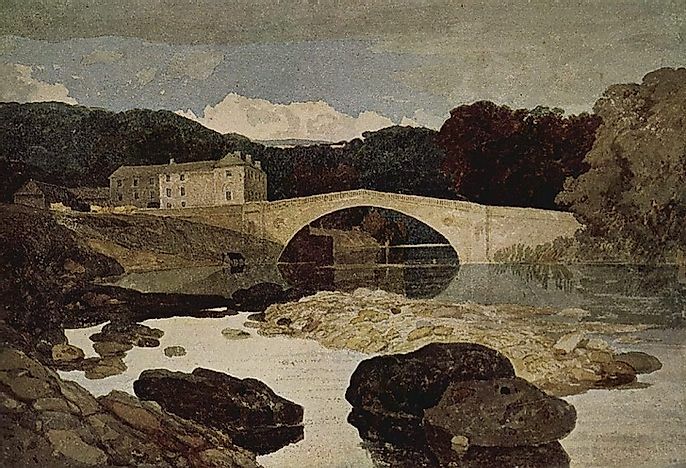 John Sell Cotman's 1805 water color painting "Greta Bridge". The Norwich school of painters drew inspiration from the natural beauty of eastern England. Founded in 1803 by Robert Ladbroke and John Crome, the school of painters started as a club where friends and other artists would meet and exchange ideas. Its first meeting occurred in The Hole in the Wall Tavern, and after two years it moved to another spacious premise to allow the members to work and have exhibition space. The artists of the Norwich school of painters drew their inspiration from the natural beauty of the Norfolk landscapes, and were stylistically influenced by certain aspects of the landscape painters of the Dutch Golden Age. Their paintings centered on landscapes, coast lines areas, and marine scenes from around Norwich and Norfolk. There were also some rustic scenes where they combined the old-master style colors with a carefully observed realist observation of nature. They mostly used water and oil paint picturesque, displaying the actual state of their present environment. After the launching of the movement in 1803, as an artistic society these artists held fortnightly meetings with the aim of discussing the rise, progress, and the contemporary state of painting, sculpture, and architecture of their time. They did so with the aim of pointing out the best methods they could use to attain uttermost perfection of these works of art. They organized an exhibition of 223 oil and watercolor paintings on November 18, 1805, which was a success, which they made it a yearly event. John Crome was its president, and when John Sell Cotman joined them in 1807, he became the vice president. The group then somewhat divided into two, where some artist followed Crome's realist manner and others opted to paint in Cotman's freestyle manner, painting pictures of the places they have never been before by looking at other sketches and making a few modifications. The exhibition building demolished but the society re-opened three years later as the Norfolk and Suffolk institution for the promotion of fine arts, at a different venue. The society flourished through the 1830s when the exhibitions faltered and ceased in 1833. They revived again in 1839 but did not gain the same success as they had previously achieved, considering that Crome had died. The president and founding member of the Norwich art society was John Crome, who painted more than 300 pieces but did not publicly distribute them in his lifetime. His works are renowned for their originality and vision, inspired by direct observation of the natural environment. He was the first English artist to paint identifiable species of trees rather than the generalized forms. His notable paintings included the Blasted Oak, Moonrise on the Marshes of the Yare, and the Poringland Oak. John Sell Cotman was a watercolor painter who painted works such as the Great Bridge, Seashore with Boats, and The Marl Pit. The movement declined because of a lack of exposure to the outside world, as the majority of their canvasses were collected by the industrialist J.J. Colman, and had went on permanent display in the Norwich Castle Museum from the 1880s onward. Their paintings anticipated the next generation of painters, the impressionist landscape painting. Also, some of the provincial art movements that succeeded the Norwich School included the Newlyn School of 1884 through 1914 and the mid-20th Century Saint Ives School. The Norfolk landscapes that fascinated the Norwich school's paintings continued to inspire such later artists as Horace Tuck (1856-1951), Alfred Munnings (1878-1959), and Edward Seago (1910-1974), whose works derived direct inspiration from the Norwich paintings years after the decline of the movement. The Norwich school's unique achievement was the production of a large body of landscape oils and watercolors painted primarily in the open air by a group of self-taught working class artist. 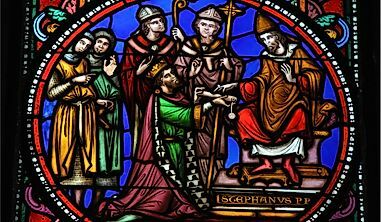 Their notable works are in the Norwich Castle Museum, and the lady lever gallery also displays some of their works. In 2001, Tate Gallery in London exhibited some of the school's principal works, which at least made the otherwise poorly recognized works of the school to gain some fame.